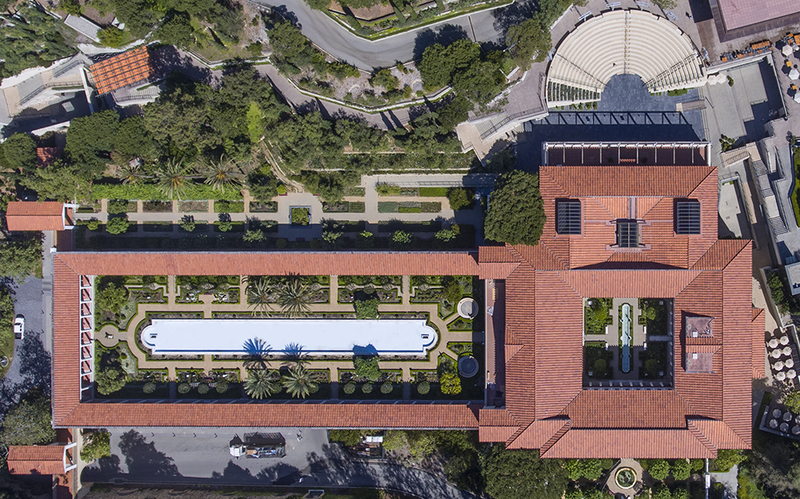 A recreation of an ancient Roman country house, the Getty Villa offers a taste of life in the first century A.D.
J. Paul Getty purchased his first work of ancient art in 1939: a small terracotta sculpture. His antiquities collection grew to include Greek, Roman, and Etruscan art, and in 1968 he announced he would build a major museum on his Malibu property. It would be a near replica of the Villa dei Papiri, a luxurious Roman residence in Herculaneum, Italy that had been buried by the eruption of Mount Vesuvius in 79 A.D. The Villa dei Papiri (“Villa of the Papyruses”) was rediscovered in the 1750s. The excavation recovered bronze and marble sculptures, wall paintings, colorful stone pavements, and over a thousand papyrus scrolls—hence the name. 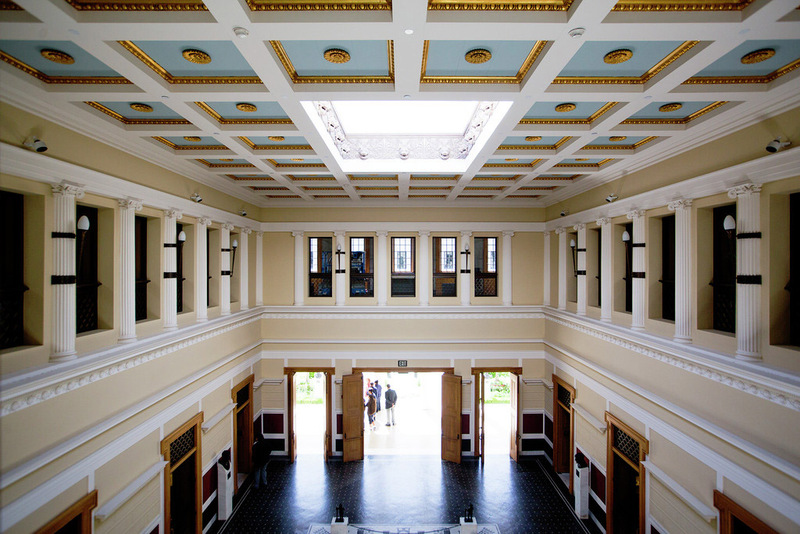 When planning for the construction of the Getty Villa in the 1970s, architects looked closely at the partial excavation of the Villa dei Papiri and at other ancient Roman houses in Pompeii, Herculaneum, and Stabiae to influence the design. 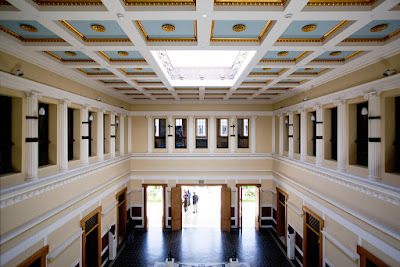 The scale, appearance, and some of the materials of the Getty Villa are taken from the Villa dei Papiri, as is the floor plan, though it is a mirror of the original.